Sandbach is a delightful market town in South Cheshire, ideally located on the M6 and within easy reach of Manchester, to the north and the North West and Birmingham, to the south and the Midlands. With the changes in transport infrastructure and peoples desire to move out from the cities into a mroe rural location, Sandbach has grown and flourished in recent years as a desirable residential location and commuter town. 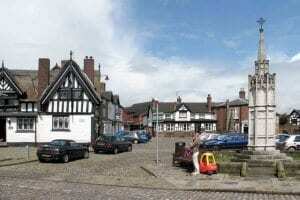 Granted a Royal Charter by Elizabeth I, after petitioning by the landowner, Sir John Radclyffe of Ordsall, Sandbach has been a market town since 1579 with a busy market still being held every Thursday in the market square. The town has a great history in transport, being the historic home of both ERF and Foden trucks and although neither of these companies have any presence in the town these days, the links with the transport world are maintained and celebrated in the very popular Sandbach Transport Festival which takes place in early spring. Happily the Fodens Brass Band, originally set up for the employees of Fodens is still based in the town. Blackfriars Insurance has been established in the centre of Sandbach for over 30 years and continues to provide a personal and commercial business insurance service to the local community. 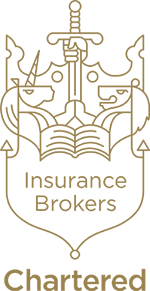 As technology as played a larger part in the transaction of insurance, Blackfriars has also increased it’s areas of operation and now handles insurances not just in Sandbach and Cheshire but across the United Kingdom and into continental Europe. We have long been committed to Sandbach and providing skilled career opportunities for the people of the town and this will continue in the future. The majority of our staff are sourced from the local area and local schools and they have helped us to remain at the forefront on financial services in the area.